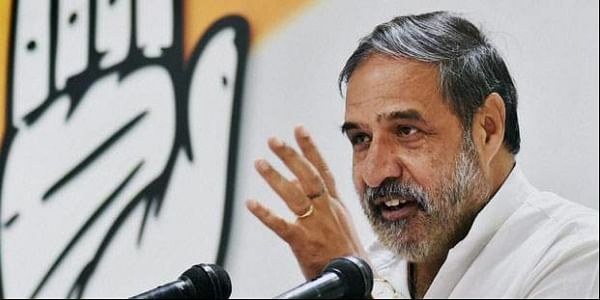 Congress leader Anand Sharma alleged that notwithstanding the government's promises against black money, the use of such money has only increased under the Modi regime. NEW DELHI: Mounting attack on the Centre over the "delay" in convening the winter session of Parliament, the Congress today accused Prime Minister Narendra Modi and his government of running away from scrutiny by lawmakers on several issues ahead of the Gujarat Assembly election. The session will commence on December 15, a day after the second and last phase of polling in Gujarat, and conclude on January 5. Speaking to reporters here, Congress leader Anand Sharma also alleged that notwithstanding the government's promises against black money, the use of such money has only increased under the Modi regime. "One can see the use of black money in Gujarat from the way the BJP is pooling resources there," he charged. Sharma hit out at the government for "celebrating" after credit-rating agency Standard & Poor's kept its sovereign rating for the country unchanged, saying central ministers were hailing the report at a time when the economy was in a "mess" and wrecked by alleged poor decisions of the Centre. Instead of launching a counter campaign to combat concerns raised about the economy, the government should apologise to the country for "telling lies and betraying it", Sharma added. Standard & Poor's yesterday kept its sovereign rating for the country unchanged at the lowest investment grade of 'BBB- minus', citing high government debt and low income levels. "We charge the prime minister and the government with running away from parliamentary scrutiny before the elections in Gujarat," Sharma, the Congress's deputy leader in the Rajya Sabha, told reporters here. "The prime minister did not want Gujarat voters to see the reality. Gujarat voters would realise that the prime minister who talks big, turned out to be so weak and coward that he chose not to face Parliament," he added. Sharma said that the opposition would take up issues such as the "imposition of a wrong GST" on people, the Rafale deal and alleged scams involving BJP leaders and their relatives among others in Parliament. "There would be no deadlock, but we will gherao the government," he added. Terming the rating by credit rating agencies as "dubious", Sharma said that the reality differed and all the parameters were down. He accused the government of shaving off the country's GDP by a minimum of 2.5 per cent. Job losses, he alleged, are at the highest. Manufacturing is weak and trade deficit is growing, he noted. "This government be charged and the prime minister - they have betrayed the people, they have wrecked the economy and now they are trying to change the narrative," Sharma said. Gujarat will vote in two phases on December 9 and December 14. The result of the election will be out on December 18.